Home to Vietnamese generations of potters, Bat Trang Ceramic Village, a 14th-century porcelain and pottery village in the Gia Lam District of Hanoi, has attracted a large number of visitors every year. The aesthetic curve, the sophisticated white enamel, the soulful drawing line and the graceful silhouette, none of the word can there be used to speak for the beauty of each Bát Tràng ceramic creation. The village has been there with rain and sun, with joy and sorrow throughout centuries and empires. Conquering with the cruel devastation of time, Bát Tràng stands still and perfectly protects its precious treasure of the art of ceramics. At the first glance, Bát Tràng is completely no different from any other normal villages in Gia Lâm ward, except for having some pottery stores and workshops of all sizes and types. When you go slightly deeper inside, the whole market, where some special snacks such as grilled coconut pies are served, reveals in the opposite of a big workshop. And what makes the place more worth-visiting are some fantastic famous ceramic artists’ houses. It will be a long day to speak of the woeful and majestic history of Bát Tràng. However, it is known that the place has been existing for a long time but officially moved to Gia Lâm after Emperor Lý Thái Tổ moved the capital from Hoa Lư to Thăng Long (now as Hà Nội) in 1010. The villagers of Bồ Bát consisting the great five lineages Nguyễn, Lê, Phạm, Trần, Vương back then migrated their best artists and their families to Thăng Long and formed Bạch Thổ Phường (former name of Bát Tràng) near Red River bank, where had the best kaolin as a material. 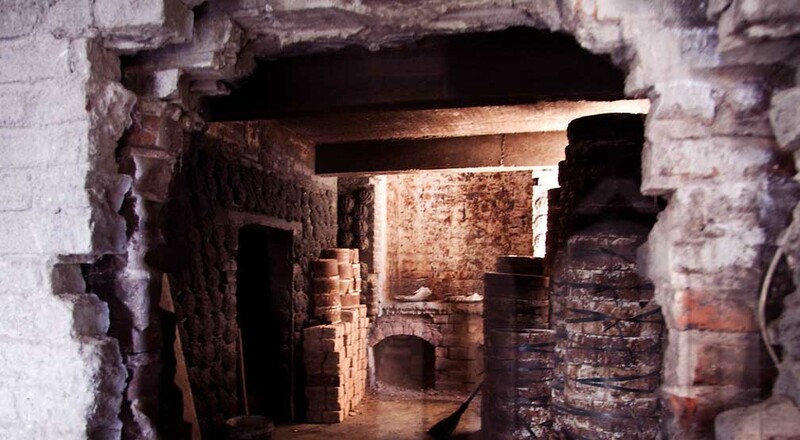 Afterward, they started their living by making and selling potteries. Bát Tràng pottery is always amongst the finest and the most aesthetic kinds with superb quality bearing the soul and pride of once time magnanimous Asian Empire. The road from the city to the village is reachable (from 10km – 15km) and it takes merely an hour. Bát Tràng is a ceramic village so there is nothing much can be done except for wandering around, trying to make some potteries and enjoying some snacks at the market. In the village, you can have some fun and spend time making pottery with your friends. It is an intriguing and hard process but you will learn after all. Most workshop owners are artists and they know how to make this well so you can count on them.